Every May, I revisit my collection of covers celebrating U.S. air mail service that was the focus the May 15-21, 1938 National Air Mail Week event. Today, it is difficult to image a time when air travel – and the air transportation of letters – was a rarity and was regarded as a special service promising speedy delivery and worthy of an extra postal fee. The first scheduled airplane service for mail delivery in the United States began on May 15, 1918 on a route between Washington and New York. But by 1938, air mail service, the air transport of other goods and even air travel in general was still a novelty to many. Postmasters were directed to bring to the attention of the public "the wonderful network of air lines operating day and night throughout the country, and the speed and economy with which letters and parcels may be dispatched over immense distances..."
On Saturday, May 14th, festivities for the celebration week were kicked off with the issuance of a new 6-cent Eagle multi-colored air mail stamp, Scott #C23, shown here. The Postal Service also sponsored an essay contest for high school students who were to write about "Wings Across America." The Boy Scouts, college fraternities, civil, fraternal, and veteran organizations were all asked to pitch in to promote the celebration week. Each town across the nation was invited to create its own cachet, a commemorative design or slogan that would be printed on the envelopes. 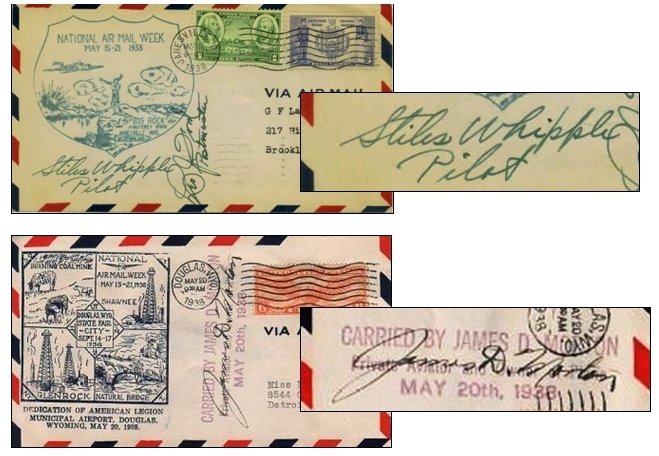 These cachets were available for use the entire week, but most of the covers were mailed on Thursday, May 19th, the day designated for the covers to be carried on special one-day-only National Air Mail Week flights, linking all the thousands of participating cities, towns and localities. As you can imagine, some of the cachets and handstamps were quite colorful and expertly designed, while some were hastily created and somewhat minimal. But this diversity for the hundreds of covers that emerged from the week’s celebration is one of key elements in anyone’s collection focusing on National Air Mail Week. I currently have 150 covers with special cachets and handstamps from large cities and small towns representing 36 states. This is a rather paltry number given that close to 10,000 individual city cachets were prepared. On the bright side, over 16.2 million letters/covers and 9,000 parcels were transported by air during National Air Mail Week. So, even though covers from certain states are difficult to come by (such as Nevada, North Dakota and Utah), there are quite a few covers available to either begin or add to a collection. Here are some examples of the lively and interesting cachets on National Air Mail Week covers. On May 19, airmail service was provided to even the most remote locations, when pilots from all over the country were asked to donate their services, and be sworn in as government employees for 24 hours. 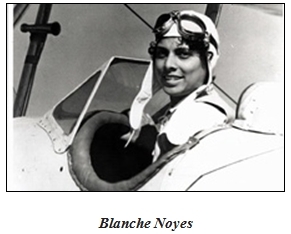 In Massachus etts, the pilots included Blanche Noyes, winner of the 1934 Bendix Trophy, and Edith Bernson, second in the 1934 Miami, Florida air races, and first-prize winner of the 1935 Amelia Earhart air races. New York pilots included Alma Harwood, known as “Flying Grandma,” and Roger Wolfe Kahn, a millionaire bandleader, as well as a priest and two doctors. 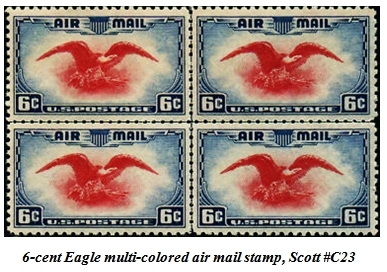 Most mailed covers were franked with the new 6-cent Eagle, but many mailings used a variety of stamps as long as the 6-cent rate was satisfied. This also can be an intriguing focus for a collection. Some of the most coveted of the celebration covers are those mailed from Kitty Hawk, North Carolina to destinations via Dayton, Ohio, where Wilbur and Orville Wright flew the world’s first controlled, powered and sustained heavier-than-air flight. 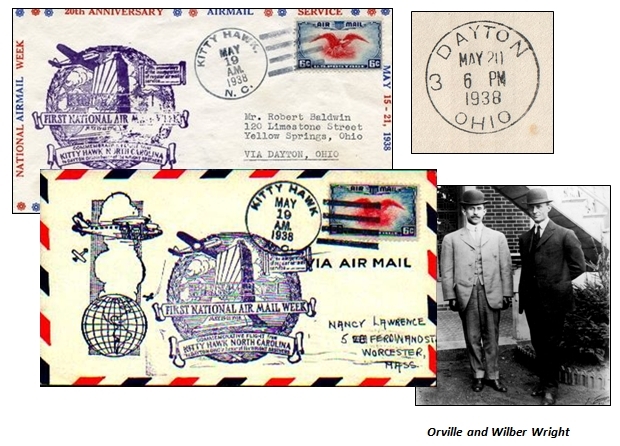 Dayton was the birthplace of Orville Wright, and where the brothers designed and built their aircraft. Each such cover has a Dayton, OH arrival back stamp, as seen on this example. 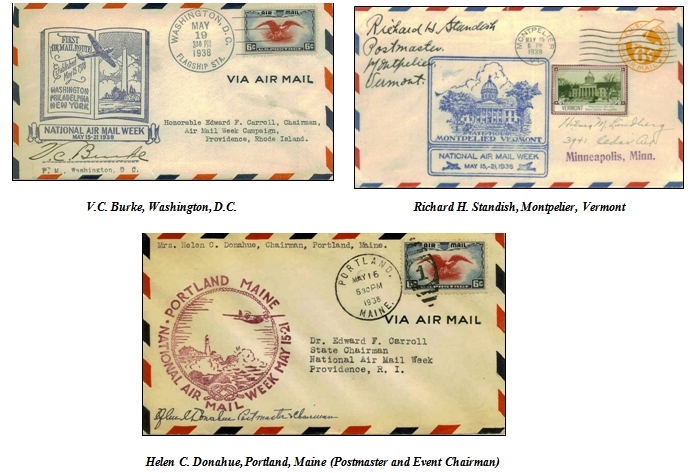 Though not complete, a quite useful listing - including images - of National Air Mail Week cachets created by most cities for each State can be found on the Aerodacious web site: http://www.aerodacious.com/NAMW.HTM. 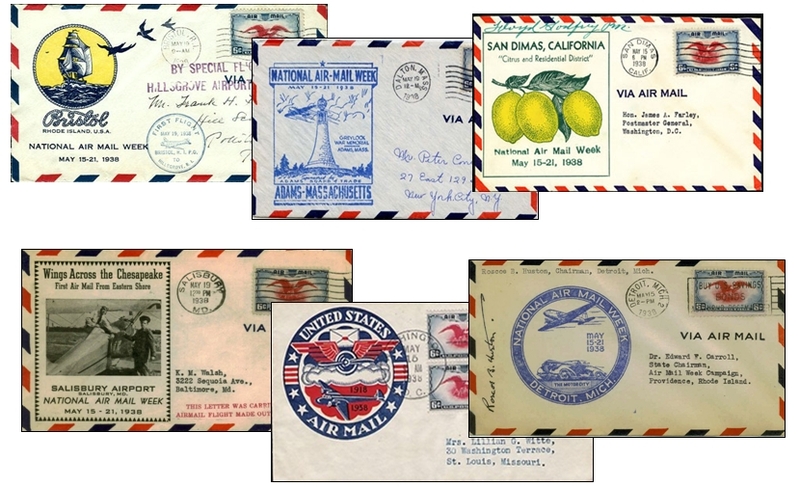 Collecting National Air Mail Week covers with all the varieties of cachets, handstamps, postage and autographs is truly an enjoyable and rewarding endeavor.